Police responding to a “man with a gun” call at Lakeview 7-Eleven store late Friday took a 26-year-old man into custody, authorities said. 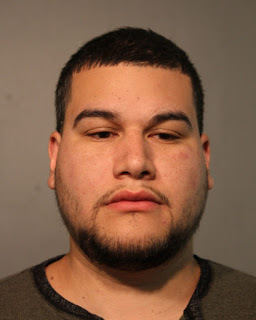 Around 11:30 p.m., officers responded to the convenience store at 1153 West Belmont and saw Juan Canas-Perez in possession of a handgun, according to the police department’s Office of News Affairs. Canas-Perez “failed to produce a concealed carry license” and was arrested, a spokesman said. A 25-year-old man who was also detained has been released without charges. Canas-Perez is charged with one misdemeanor count of failure to disclose concealed carry license for a firearm and disorderly conduct. Your subscription to CWBChicago will help our reporters recover out-of-pocket expenses related to our coverage. And, subscribers receive exclusive reports and services. Sign up now! 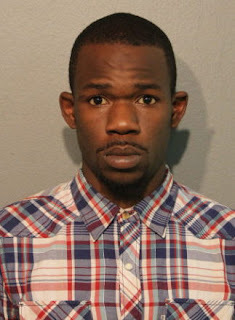 A 21-year-old admitted gang member was released on a $120 recognizance bond after he brandished a handgun that turned out to be a pellet gun in Uptown last month, police said. Police say Isaiah Hughes tried to gain entry to an apartment building at 840 West Sunnyside by asking a guard to buzz him in around 4:45 p.m. on December 22. But the guard told cops that he refused to let Hughes in because he was holding a gun in his right hand. A covert police unit that was working a narcotics case in the area also saw the gun being brandished, according to radio traffic. Cops stopped Hughes nearby and recovered a black and silver handgun from his waistband. The gun turned out to be a BB gun, prosecutors said. An admitted member of the Traveling Vice Lords street gang, according to police, Hughes was charged with an ordinance violation of possessing a replica firearm. He was released on a $120 I-Bond without seeing a judge. Just five days before Hughes’ arrest, witnesses reported that several people who were being shot at (by real guns) fled into the 840 West Sunnyside building around 7:50 p.m. No one was arrested in the case and no shooting victims ever emerged.